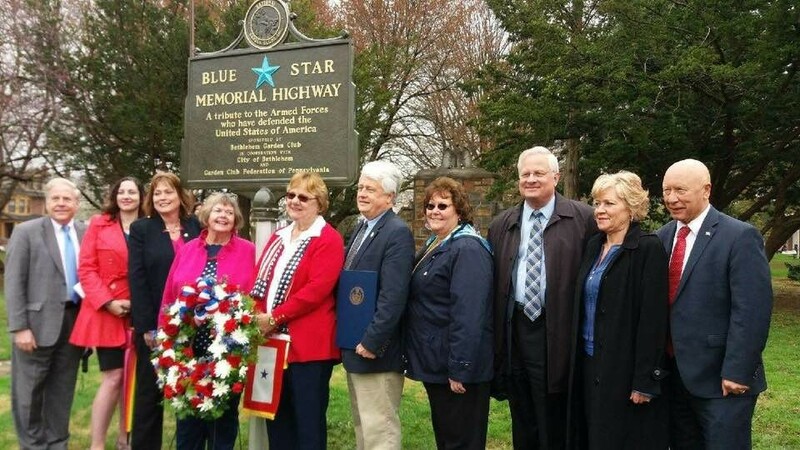 As we continue this week to reflect on the sacrifice of our nation’s servicemen and women, I also want to recognize the work of the Bethlehem Garden Club and its members who were instrumental in establishing the Blue Star Memorial Highway Marker at the Rose Garden in Bethlehem. The Blue Star Memorial Marker is part of a storied tradition that has grown to represent and pay tribute to the armed forces that have defended the United States of America. Since WWII, a Blue Star Service Banner displayed in the front window of a home told others that a family was serving in the Armed Forces. While originally designed to honor WWII veterans, its mission expanded to include all men and women who had served, were serving or would serve in the United States Armed Forces. It was an honor to join in the celebration of this beautiful, moving ceremony. 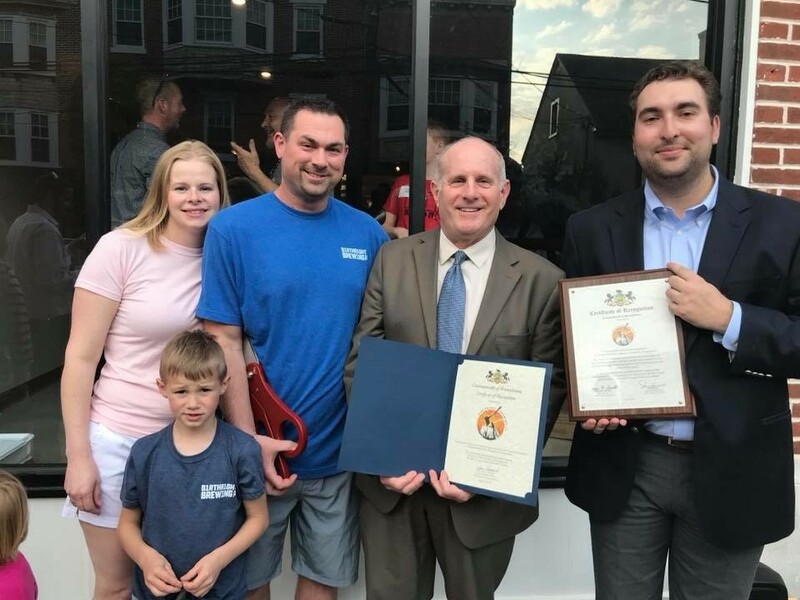 Earlier this month, we were pleased to recognize the grand opening of Birthright Brewing Company in Nazareth. Thank you for choosing the downtown for your beautiful new location and for helping strengthen the local economy. We wish you all the best in the years ahead! On Wednesday, I joined Pocono Mountains Visitors Bureau CEO Chris Barrett and Monroe County Commissioner Charlie Garris to announce a new litter initiative in the Pocono Mountains. Efforts have been underway for almost a year to address the problem of litter on area roadways and specifically Interstate 80. While our efforts were initially focused on developing a program for inmates to pick litter on area highways, we encountered resistance due to the high cost and liability of administering such a program. That is when Chris Barrett stepped forward with another solution. The Visitors Bureau announced they have entered into an agreement with Adopt a Highway Maintenance Corporation to pick up litter along the first 20 miles of Interstate 80 from Delaware Water Gap to State Route 380 in Tobyhanna. The company will pick up I-80 four times a year and the cost will be covered entirely by the existing hotel tax. Trash pick-up along I-80 is just part of a new program started by the Visitors Bureau titled “Pick up the Poconos.” The first step is to raise awareness through a media campaign. We have a trash problem and want to dispose of trash properly. The Bureau is also working with PennDOT to broadcast the many secondary routes in need of cleanup through their Adopt-A-Highway program. The Visitors Bureau hopes to eventually expand their contract with Adopt a Highway Maintenance Company to cover litter pickup on other highways in the region. Residents who wish to learn more about these litter efforts can visit www.pickupthepoconos.com to find out how to get involved. The efforts to combat litter align directly with a bill I proposed, Senate Bill 431, which will increase fines and penalties for littering across the Commonwealth. The bill has already passed the PA Senate unanimously and awaits action in the House Transportation Committee. Boating season is here, and the PA Fish and Boat Commission has a FAQ page with information on boating regulations, safety education certificates, boat launch locations, horsepower limits and more. It covers personal watercraft/Jet Skis, too. 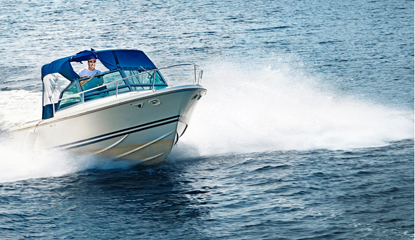 Boating Safety Education certificates are required for persons born on or after January 1, 1982, to operate boats powered by motors greater than 25 horsepower, and for personal watercraft operators. There is a good chance you will encounter young wildlife this time of year. According to the Pennsylvania Game Commission, while some young animals might appear to be abandoned, usually they are not. It’s likely their mothers are watching over them from somewhere nearby. 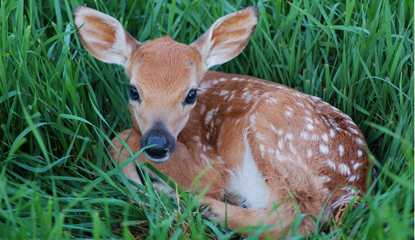 When encountering young deer, birds, raccoons or other young wildlife, the best thing people can do is leave the animals alone. It is illegal to take or possess wildlife from the wild. Licensed wildlife rehabilitators are available to care for injured or orphaned wildlife. 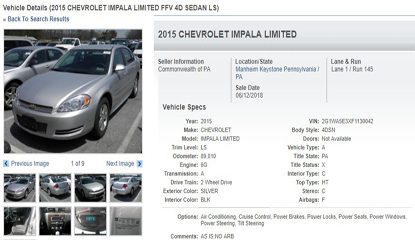 A selection of high-end, exotic luxury cars will highlight an offering of more than 300 vehicles available to the public for purchase during the commonwealth’s third vehicle auction of the year on June 12 in Grantville, Dauphin County. The auction features vehicles seized by law enforcement and those no longer used by state agencies. Individuals interested in personally viewing the vehicles can do so beginning Friday, June 8, through June 11, from 10 a.m. to 4 p.m. each day at the auction site. 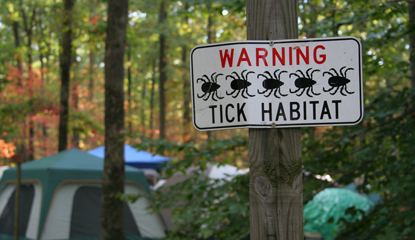 Pennsylvania has reported the most Lyme disease cases in the country for several years in a row. Staying on trails when hiking.